Security and prosperity depend on an ability to safeguard the digital information, data and networks at home and abroad, that underpin our society and economy. The Wannacry ransomware attacks on the NHS in the United Kingdom and the NotPetya cyber attack on the APM Terminal of Maersk in the Port of Rotterdam showed once again that both the Netherlands and the United Kingdom are very vulnerable. And, these cyber threats continue to grow in scale and sophistication. It also makes effective cyber security such a crucial part of our economies. And the stakes are high. Deloitte calculated that the yearly damages to the Dutch economy are more than 10 billion euros. This is 1.5% of its GDP, higher than anywhere else in the world. According to Lloyds of London the next global cyber attack will lead to more economic damage than a severe natural disaster. This could cause damage up to 121 billion dollars. Why is the Netherlands not “cyber ready”? 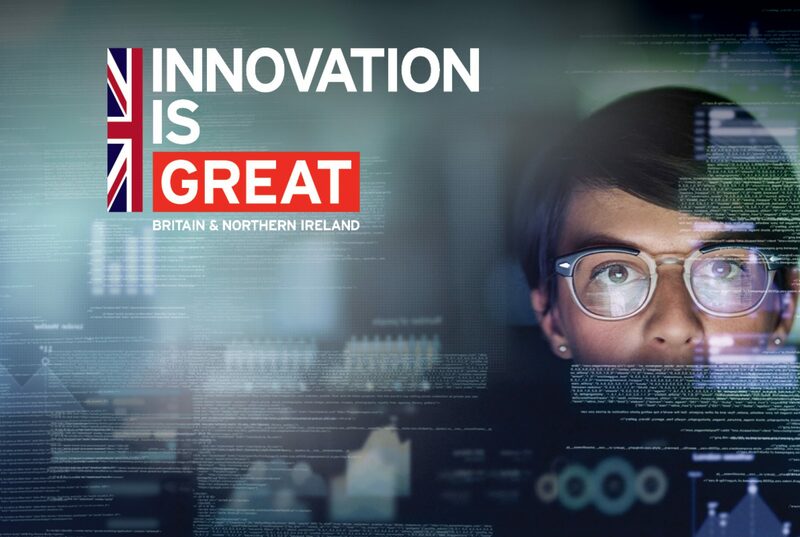 Whereas the UK and the Netherlands have similar economic stakes and operate in the same highly digitalised environment, the UK scores much stronger on the cyber readiness index developed by the Potomac Institute for Policy Studies. The Cyber Security Assessment Netherlands 2017 shows that the resilience of individuals and organisations in public and private sectors is staying behind in relation to the increased threats. The majority of individuals and organisations seem to severely underestimate and downplay the risks they face. I believe that there are two main reasons for this. On the one hand this can be blamed on the more laid back security philosophy of the Dutch (“keep everything as open and accessible as possible”). On the other hand the Dutch polder model, their famous system of consensus decision-making, makes that there is a lack of a clear, central strategy that defines responsibilities and resources. Within the Dutch government the responsibilities for cyber security fall under five (!) different government departments. Organisations such as the National Cyber Security Centre, the Defence Cyber Command, the Police’s Team High Tech Crime, and the General Intelligence and Security Service have to work together in a complex “polder” system with public and private partners. Their primarily focus is protecting the Dutch critical national infrastructure and large enterprises. This makes information sharing and the process of defining and executing a national cyber security strategy time consuming and complex. This also affects the development of knowledge and talent. Innovation in the Dutch security sector is often a complex dance between the government, industry and knowledge institutions: the triple helix. The idea behind this concept is that this hybridisation of elements will lead to increased innovation and knowledge development. However, in the Netherlands a central approach is lacking. In a country that is only the size of the State of New York, “accelerators”, “ecosystems” and “clusters” such as The Hague Security Delta pop up everywhere and compete for the same companies, researchers and/or talents. My personal experience is that it is very difficult to get an overview of who does what and who adds value where. Don’t get me wrong, collaboration in this field is key. But collaborating without a clear strategy, structure, or end goal becomes messy and is a waste of (public) money. The extra investments up to 95 million euros per year by the new Dutch government are welcome, if used wisely, but just a very early start. The new Digital Trust Centre, for example, is a good initiative. It will close the gap in the current national cyber security strategy by looking after SME’s as well. But at the same time this adds yet another player to the many other organisations with some kind of responsibility in the field of cyber security. Against this background, the Department for International Trade here in the Netherlands organised the second UK-NL Cyber Security Showcase back in September 2017. We believe that collaboration is key. The economic prosperity and social well-being in both the UK and the Netherlands increasingly depend on the openness and security of networks that stretch beyond our borders. We all benefit from a free, open, peaceful and secure cyberspace. And we have a shared responsibility and mutual interest in improving our collective cyber security. That is why we aim to bring British and Dutch cyber security companies, end users, resellers, and other stakeholders in the cyber security industry together. To share best practices. And to investigate potential partnerships in cyber security in both the Netherlands and the United Kingdom. In my next blog I will dig into the UK’s strategy to protect against cyber threats and how the Dutch could (and should) can learn from that! Stay tuned! Your Cyber Risk isn’t just “Yours”! Data security and privacy are the foundations of today’s world. A world where the boundaries between business processes, people and technology are getting blurred. Organisations are facing a new reality in which they have little IT infrastructure and the biggest cyber security and data privacy risk is coming from vendors and third parties outside their control. Do you remember Target, Google Docs, Yahoo, AT&T and Play.com data security breaches? All of them have been a consequence of third party cyber security failure. Research indicates that approximately 70% of data security and privacy breaches are caused by third parties. The scope of organisation’s digital risk is expanding due to the new digital business environment. An environment that consists of a broad external eco-system and high levels of emerging intersections between technology and the physical world, such as: intelligent chatbots, IoT and connected and autonomous vehicles. For customer-facing organisations like banks, publishers, insurance companies, and many others, this will be a big challenge. Digital business as we know it today is dependent on the use of third party services and software. From business intelligence and analytics to social media and marketing, many of these services are not provided by the organisation itself, but by third parties. Most of these organisations do not have a quick and easy way to gain instant and on-going visibility of their partners’ data security and privacy posture. On 25th May 2018, on-going visibility of your third party data security and privacy posture will become paramount for organisations interacting with or serving European customers around the world. At that point the new EU General Data Protection Regulation (GDPR) will come into effect. Organisation that collect and process EU customers’ personal data, such as: name, address, email, financial records, IP address, etc., must obtain clear and specific permission to do so. The regulation requires organisations to institute strong data security and privacy measures. They must know where every piece of customers’ data is stored, where it came from and with whom it is being shared with, appoint a data protection officer and inform users within 72 hours of a data breach so they can take steps to protect themselves. Organisations that fail to comply with the regulation could find themselves facing steep fines of 2% and 4% of total annual turnover. Accordingly, the likes of AT&T, Target, Google and Wal-Mart, could be fined between €53 Million and €5.83 Billion, if their third party acted negligent again and caused a data security breach. Consequently, organisations must not only protect customer data across their own IT environment, but also ensure that the processes and practices of their third parties are also secure and compliant with GDPR requirements. Traditionally, third party risk assessments have been conducted manually, collecting answers in surveys and questionnaires via emails, spread-sheets and planned visits to third party organisations. This is an extremely labour intensive, highly time consuming and expensive process, which organisations oftentimes outsource to yet another third party! With this approach organisations, will never gain an on-going visibility and clear insight into their third parties’ data security and compliance posture. They will only gain a snapshot at the time of the assessment, which quickly becomes outdated and irrelevant due to system and/or business process upgrades. Accordingly, organisations will fall short across number of articles and controls in the GDPR and end up not being compliant as well as being at risk of business disruption, financial loss, reputational damage and huge fines. Fulfilling GDPR third party compliance requirements requires a materialistic shift in how organisations assess the risk of their current and potential third party. Organisations must be able to have clear, comprehensive and frequent insight into their third party data security and GDPR compliance in order to align and reflect data security risks of their business processes, people, and IT infrastructure instantly. At CyNation, we provide organisations with solutions that allow organisations to accelerate third party security and compliance risk assessment and monitoring to verify if their third parties are compliant with the GDPR and other industry standards, such as: ISO27001, ISO31000, ISO 27017, and PCI DSS. Our cloud-based solutions automate and streamline the lifecycle of third party security risk assessment from distributing assessment questionnaires, responses monitoring, response aggregation and analysis, evidence collection and analysis, instant reporting and action plan generation. CyRegTM GDPR, relieve organisations from the tedious manual tasks of third party risk assessment, offering a systematic, step-by step approach to evaluate organisation’s GDPR readiness as well as quickly and accurately identifying data privacy and compliance gaps within the organisation and its third parties. CyNation’s Security Scorecard enables organisations to get in-depth insights into the cyber health of their third parties, including their supply chain, vendors or other parties. Shadi Razak is the Chief Technology Officer of CyNation Ltd.
It’s really not fair. No sooner do we generally come to terms with one cybercrime threat than another appears, attacking our lives from afar, using ever more advanced technology and connectivity to do so. Our unspoken deal with the internet is that we allow it to invade our lives for positive reasons such as economic gain, personal growth or just convenience – or at least we feel we have to submit to its pervasive influence or lose out, big time. The problem is that, as with all morally neutral and relatively unmoderated instruments, that same deal can be abused. Through exposure to the internet’s downsides we, our families or our general lives can be hurt. There are of course deeply technical mitigations to these threats – sometimes ahead of, although more often slightly behind, the development curve. Generally speaking, we hope to keep up, although most of don’t understand the technology involved and are content to entrust it to those who sound like they know what they are doing. But to rely purely on that technology to protect us is like relying purely on the lock on our front door to prevent a burglary at our home. As in our private lives, so at work. Our organisations – governmental, corporate, any of them – are tempting targets and often more vulnerable than they would like to think. To minimise that vulnerability, there is a lot of investment in technical services – antivirus, firewalls, network configuration, penetration testing – in which we put our faith. But still, the attacks keep coming, and too many of them succeed. In our private and work lives, we can’t just rely on the technology to protect us. We have to protect ourselves, and those around us. If you look at the most prominent cyber threats, most rely on human vulnerability to achieve their objective. The National Crime Agency’s list of top threats include the sexual exploitation and abuse of children, of which a massive amount occurs online; and economic crime, where much of the gain is made by deceit of an unwitting person or exploiting vulnerability through extortion. Even in the category of cybercrime, the human factor is a constant, whether by allowing data loss or, through poor decision-making, failing to protect systems, organisations and people against predictable and avoidable threats. There’s a good reason why the recently established UK National Centre specifies User Awareness and Training as one of the first steps to Cyber Security. The UK based, non-profit organisation, Get Safe Online (GSOL), is part of the solution. GSOL has insight into the threats faced by all sections of the population, and by organisations, and seeks to target harden people through the same principles. For example, go on the websites of most of the UK’s police forces, and look for help with cybercrime, and it’s probably GSOL’s content you can see. Our partnerships extend into the private sector as well – where there is vulnerability, that’s where we want our messages to be. The extra good news is that, in my view, the objectives of personal cyber security training -awareness, empowerment, and access to support when needed – can protect us in our own lives, and help us protect our organisations too. We just need to get it right once. The UK and Netherlands should collectively invest more in infosec collaboration. As a Dutchman who regularly travels to London, I can’t help comparing our nations every now and then. On the DLR into the city, it’s obvious there are big differences. Having worked for a British boss, I can distinguish between a proud UK management style and the more hands off Dutch approach, whilst having an appreciation for both. UK North Sea shores primarely face east, while ours mostly face west. Political consensus varies between both nations. And of course, we drive on the right side of the road. But there are similarities too – there are densely populated areas on both sides of the pond. We all love football. And with regards to fintech and cyber threats there are similarities too. In the mid 2000’s, when the first wave of cybercrime struck financials in Europe, the UK and the Netherlands were among the first to be hit. Often, criminal gangs would set up campaigns targeting banks in both countries at the same time. With financial hubs in London and Amsterdam, the banks pushed the cyber security industry to the next level, and cyber and fintech startups in both countries flourished. For what it’s worth, we gained a lot of experience in building our defenses. That’s why both countries have a relatively well developed security and infosec industries. Both countries have developed law enforcement capabilities, with the NCA in the UK and Team High Tech Crime in the Netherlands. The former works with international LE against organized crime like Dridex, the latter with successes in botnet and underground market takedowns, such as Bredonet and Hansa. Lawmakers, from both sides, adopt the same kinds of approaches towards building resilience. And that’s fantastic, because criminial organisations are now interested in everyone. It’s not just criminals and spies in our networks anymore, activists and nation states have joined the action to make the internet increasingly unsafe. The UK and the Netherlands have a great opportunity to join forces. Our experiences align, our laws on the subject align, our LE aligns, and a flight from Amsterdam to London City takes just 50 minutes. Eward Driehuis is Chief Research Officer for SecureLink Group, which has over 700 specialized employees across mainland Europe and in London. Identify a project champion and leadership team. Perform a threat assessment and internal audit. This is the best way to understand the kinds of threats aimed at your organization, and gives you a clear sense of vulnerability to them. Your IT team may be able to perform these tasks, but the American Institute of Certified Public Accountants(AICPA) encourages organizations to work with an outside vendor specializing in cybercrime. The review should include encryption and archiving requirements, data residency, and the technology and processes related to privileged credentials, email wire transfer requests and the sharing of personally identifiable information via email. Include personal risks.Get more buy-in from staff by including tactics that threaten their personal accounts, such as how to protect your Gmail and Facebook accounts, per O’Hare. The majority of organizations have no solution for preventing data leakage in emails. With Mimecast policies are set centrally so organizations don’t risk compliance and policy violations whether in an on-premises, cloud or hybrid email environment. Mimecast is the platinum sponsor of the UK-NL Cyber Security Showcase. Visit Mimecast for more information.